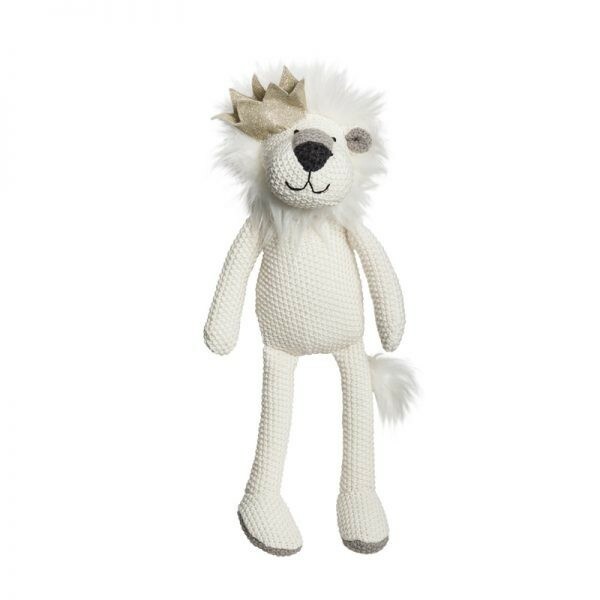 Adorable Lancelot the Lion from Lily & George is a beautiful companion for a little boy or girl. This toy is perfect as an addition to welcome a new baby. Lancelot has a knitted body and a soft fur mane to cuddle up to.